Although siphon coffee makers have gained outstanding popularity only in recent years, they have been in existence for as long as coffee brewing itself. The technique dates back in the 1750s when people started studying the effect pressure would have on their beverages. 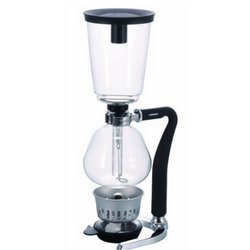 The first commercial siphon coffee maker entered the market later in the mid-1800s from the French territories. People started noticing that boiling, the main coffee preparation method at the time, damaged coffee in terms quality. The vacuum method is quite distinct and superior from the rest. First and foremost, the end product is very clean. Secondly, full immersion ensures that the rich coffee flavor is retained. For best results, use dry, processed beans. 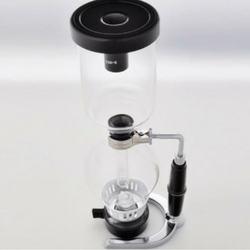 If you're new to the world of siphon/vacuum coffee brewing, finding the siphon vacuum pot that is right for you can be overwhelming. 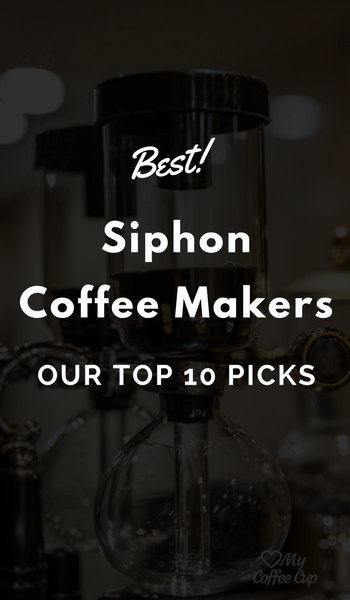 That is why we have created a list of the best siphon coffee makers with a buyer's guide and tutorial on how to use a siphon coffee maker. 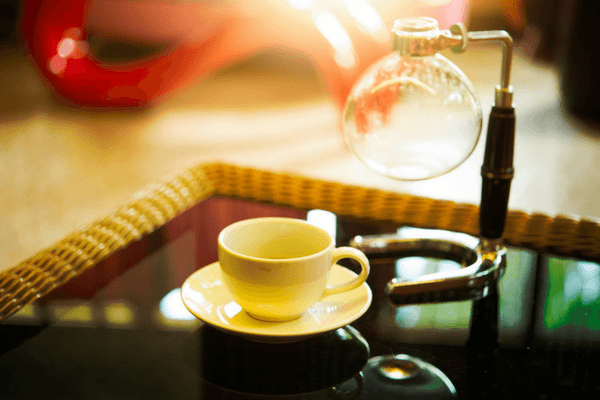 After countless hours researching online, we have shortlisted the top 10 coffee siphons that you can buy right now. Measures exactly 16.3*4.9*6.5 inches and weighs 3 pounds. 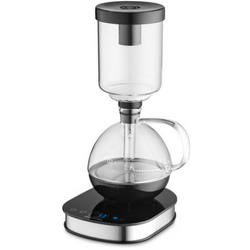 The Hario Technica 5-cup features a standalone design. A 3-cup size is also available in case the 5-cup is too much for you. It is a piece to consider when you are looking for aesthetics. The Hario brand is renowned for their quality and sense of style in all their gadgets, in particular, their coffee makers. 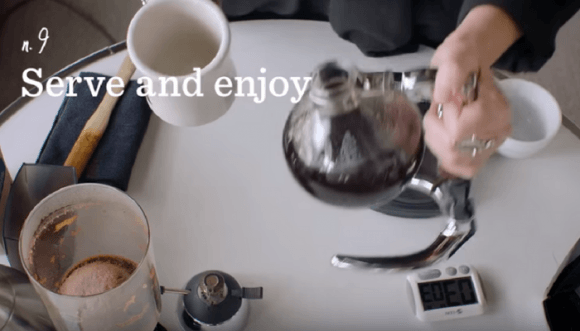 As the name suggests, the Hario coffee siphon can make up to five cups. The exterior is made of the highly resilient borosilicate glass, signature glassware from Hario. This model ships with a cloth filter and an alcohol burner. The alcohol burner might be a little slow considering the fact that you are brewing 5 cups. You could speed things up a little by preheating the water. Replacing the alcohol burner with a butane burner is a good option. When doing replacements for the burner, make sure that it does not touch the glass or else it might break it. Most people find the cloth filter to be inconveniencing- consider using paper filters. However, you will have to get a metal filter holder. This is because the filter holder that comes with this particular Hario only works with cloth filters. Siphon coffee makers push water upwards. You cannot avoid buying a metal filter holder or else the paper filters will float. You probably have seen it in coffee shops or cafes and in Youtube videos. 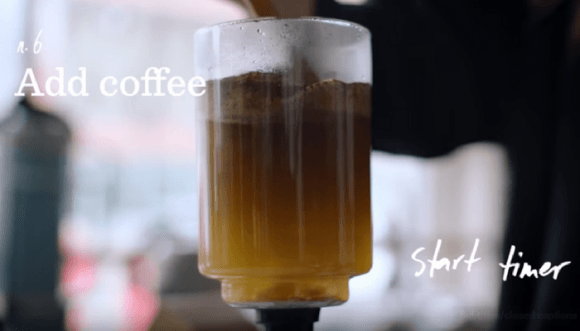 It is a perfect example of the absolute functionality of a siphon coffee maker. The structure is quite firm and perfectly sealed (no leakages). The drainage is also reliable. Overall, this brewer is a good investment. This piece can work on both electric and gas kilns. It comes with a special heat diffuser for use on electric coils. For the best user experience, always use medium heat. It comes with a washable cloth filter that could last for years. The Yama 8 cup is a favorite for many, mainly for the aesthetics. Includes brewing chambers, scoop, lid, filter holders, extra cloth filter. The Yama 8-cup is a stovetop model from Japan. It is a highly aesthetic creation with round glass parts. The handle is made from a heat insulating material. The Yama glass coffee siphon has a capacity of 40 ounces (8 cups). It is also available in a 5-cup (20oz) capacity. This model is made of the highly heat-resistant borosilicate glass. The firmness of the structure makes it ideal for dishwasher and microwave use. If you were to measure the capacity using a typical coffee mug, the Yama 8-cup would produce at least 4 of them. If you do everything right, brewing the full amount (8 little cups) should take you exactly 20 minutes. This is a little longer than when using an electric coffee maker, but it’s worth the wait- the process produces a rich, quality taste and flavor. The exact flavor depends on the quality of coffee you use, of course. The brewer looks like it could break during shipment. However, the product is wrapped perfectly with bubble wrap around the glass. The siphon is also secured firmly in place to avoid any shifts during shipment. Down market manufacturing sometimes results into drainage and frail-glass issues. Not usable with glass rod filters, which most people prefer. The coffee brews on the glass surface downright. There should be no plastic/metal odors and taste whatsoever. Making a smaller amount like two cups is not advisable- the coffee will be much more delicious if you brew the full amount. Some customers claim that theirs exploded because the structure could not withstand the pressure while using a glass rod filter. This rarely happens when using metal mesh and cloth filters. Considering the high number of satisfied users, this is definitely a piece you should try. The cheap price plus the aesthetics is also something to consider. The good packaging makes it ideal for sending to someone special as a surprise gift. The brew process takes approximately 8 to 11 minutes. Coffee only takes 30 seconds to flow down into the lower carafe. Calibration ensures brew is hands on w/full control of temp/time. Includes the glass chambers, a coffee spoon, and a support stand. The filter is durable and easy to clean. The components are large which makes overall handling easy. Admittedly, all siphon coffee brewers make a great cup of coffee. However, this Scandinavian design model does one thing in a special way, which is, confining the aroma ensuring that none escapes. The Bodum vacuum coffee maker is made from china. 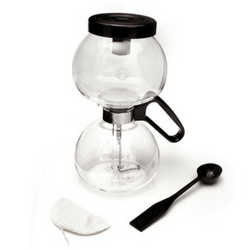 The Bodum Pebo (formerly Santos) is a very elegant and durable piece. On full capacity, it should serve 8 small coffee cups or 4 typical coffee mugs. The lower carafe is designed for serving meaning that you do not need to empty the coffee on a separate serving pot. The Santos is renowned for its ability to balance aesthetics and functionality. It is slightly larger than the Yama 8-Cup Stovetop Siphon above. It is easy to clean, not to mention that it is also dishwasher friendly just like the Yama. The seal around the neck is made of high-quality nylon. You can be sure that it can hold up to the high pressures and temperatures. 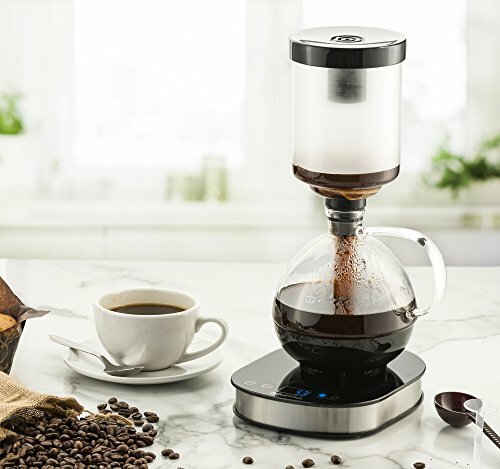 Compared to other siphon coffee makers, the Bodum’s seal is a bit more effective in keeping the coffee warm for longer hours. 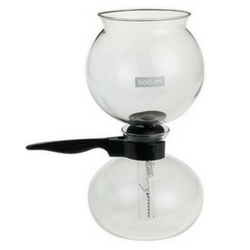 Unlike most vacuum siphon coffee makers, the Bodum Pebo 8-cup does not come with a lid/ cover for the top chamber. Functionally, this should not be a problem unless you use too much water. The Bodum Pebo is a good investment for anyone who likes enjoying a perfectly made cup of coffee. It is the perfect piece, especially for home use. However, this might not be the piece for you if you are the kind of person who cannot wait for a while to enjoy a cup of coffee. Gourmia looks goods - very high-quality aesthetics. ​Measures 5.8*7.2*13 inches and weighs 3.9 pounds. You can be sure about kitchen safety because it is SGS certified. Sending it as a surprise gift to a loved one will blow their minds off. Automation and interface geeks are not left out in this industry. The Gourmia GCM3500 is just the piece for them. It features vintage looking glass chambers mounted on a 360-degree, cordless smart-base. Quite uniquely, the Gourmia Digital Siphon gives you the option of either following an automated brewing process or a manual one. The one-touch interface enables you to carry out several smart functions, the most important one being keeping the coffee warm for desired time. You could carry it to the office to enjoy warm coffee all day. 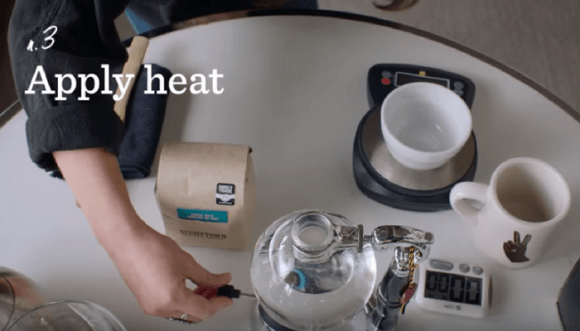 The interface also allows you full control over the temperature during the brew. 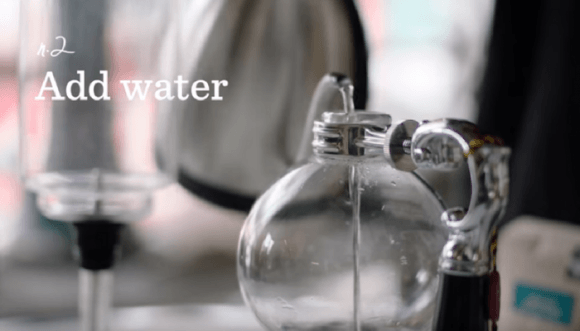 Add the desired amount of water in the lower carafe. Add in the desired amount of ground coffee into the upper chamber. Let the Gourmia do all the work for you! This is the perfect piece for automation enthusiasts. It is also a good investment for a person with an eye for sophistication, style, and beauty. This Product measures 16.3*5.2* 7.3 inches and weighs 3.1 pounds. This is more of an upgrade of the Hario Tecnica (number one on the list). Just like its predecessor, it is made from the characteristic Hario borosilicate glass. There isn’t much difference physically. In fact, most people cannot tell the difference between the two. 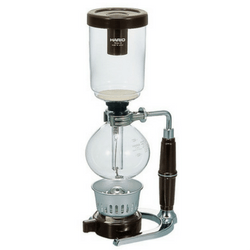 The Hario syphon coffee maker has gained a lot of popularity in a short time. This success can be attributed to the firm ground already established by its predecessors. As an update stunt; the Next 5-cup comes with an improved lower chamber for better heating. It also comes with two filters, a metal filter and a flannel filter. The denatured alcohol burner is still slow like that of the Hario Technica. The filter holder that comes with it only works with the cloth filter. If you decide to use paper filters, you will have to get a separate holder for them. The filtering options are enough to make you choose this coffee maker. The results, shape and the grip are even better. Price wise, most people would prefer the Technica- it is a little more affordable. Includes a measuring spoon, coffee cup, and three cloth filters. The gold color of the royal balancing siphon coffee maker and the dark-red color of the wooden base make it a top choice for many. A single brew makes 3 to 5 Espresso cups (2 normal coffee cups). The water retainer and plug are made of stainless steel. In typical vac pots, one chamber is on top of the other with a filter in between. This is not so when it comes to the Nispira. It uses the balance siphon method where the chambers are stationed next to each other. The fact that it is made in China does not necessarily mean that this is a rip-off. In fact, most people find it more convenient and classy than other overpriced models- it makes the smoothest coffee ever. Although most customers find the overall packaging and instructions to be more Chinese-oriented, everything has being subtitled in understandable English. It is very delicate and might break during shipment. Extreme care is required for daily use. 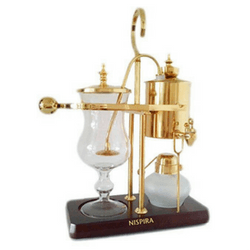 Fundamentally, the Nispira is an early siphon coffee maker made in a modern way. Definitely, it is a good investment for any person who admires detailed gadgetry plus good aesthetics. The Kitchen Aid coffee brewer has an 8-cup capacity. 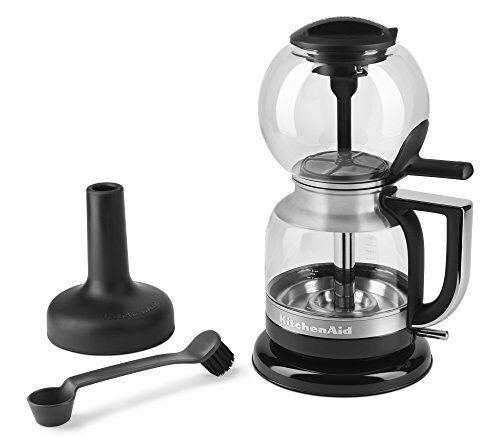 The kitchen Aid siphon coffee brewers unique onyx black color, premium glass, and 360-degree brew unit stand sets it aside from other coffee brewers. This is not all; it also comes with a stainless steel filter, a cloth filter pack, a dual purpose lid, and a coffee scoop. The Kitchen Aid KCM0812OB’s magnetic seal ensures that the two chambers are fastened together securely. You can be sure that there will be no leaks or drainage issues whatsoever. Unlike other coffee brewers where making a cup of coffee is fully hands-on, brewing a cup with this brewer is fully automatic. It utilizes electric power. 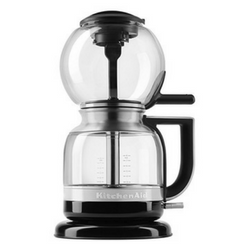 The kitchen Aid KCMO812OB is probably the easiest to use coffee brewer out there. This plus its fully automatic machination makes it a good investment overall. However, the absence of user customization features such as temperature control and keep-warm feature might affect your decision. This product measures 4*4*14 inches and weighs 2.2 pounds. The Yama glass coffee siphon is a favorite for many. It is firm and even better, suitable for brewing small amounts. It is made of the highly resilient borosilicate glass. It also does not go low with the aesthetics. The Yama 5-cup features a table top design. It has vintage-looking brewing chambers mounted on a stylish, convertible stand. 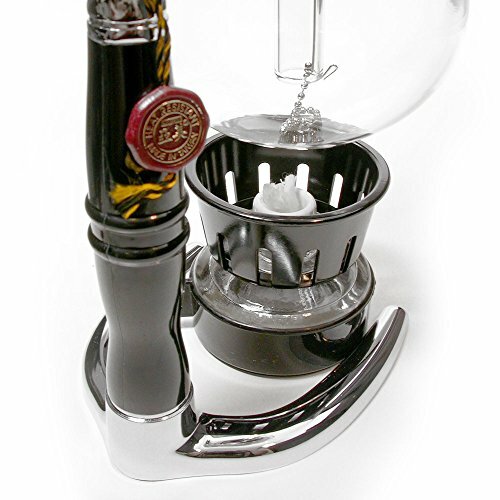 The Yama Glass 5 cup Tabletop siphon is among the best siphon coffee makers recommended by the Coffee Geek. According to them, this is the secret for making a smooth and delicious cup of coffee. It comes with a soot free, denatured alcohol burner. 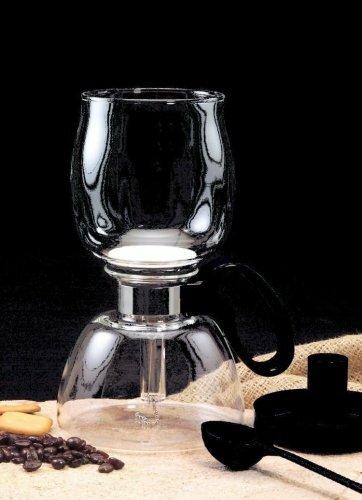 This coffee siphon maker is probably the best choice especially if you only want to try out siphon brewed coffee. The 5-cup Yama can work on both electric and gas range-tops. Youwill notice that most of the specs are similar to the Yama 8 cup. It comes with two reusable cloth filters, that will last for a long time. It is in contact with the glass at all times during the brew. The 8 cup might not be ideal especially when you are in a hurry or when you just want to brew a single cup. However, with the 5 cup, you can brew the smallest amounts in the shortest time possible. A single cup would still come off sediment free, rich, and delicious. 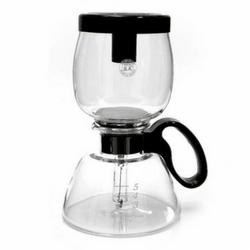 Just like the 8-cup, the Yama 5 cup syphon maker is made of highly resistant borosilicate glass. The middle extends into a heat-resistant handle. Even if the structure is highly heat resistant, always use medium heat for best results. Boiling the water should take 4 minutes. If you are looking for an under-priced tested version of a siphon brewer, this is the piece for you. However, there are issues with the safety when using this model- some customers claim that although it makes great coffee, the Yama explodes. Of course, no one wants to buy a ticking time bomb! This is a smaller version of the 5 cup (number one on the list). 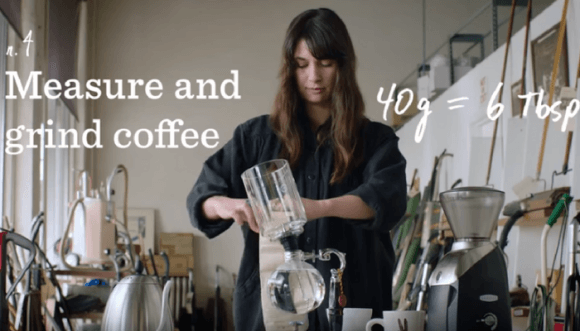 It brews a maximum of 3 small cups (360 ml). It features a tabletop design and comes with a wick burner. When the fuel is full, it can be used for up to 8 brews. To speed things up when using the wick burner, preheat the water before starting the brewing process. You could purchase a little butane burner. It is much faster and allows controlling the flame more conveniently. If you have always admired the Technica but think that it is a huge investment, you should definitely consider buying this one- works all the same! This coffee maker comes with a adjustable spirit burner. This 5-Cup Syphon comes with one reusable cloth filter. Substandard manufacturing could result in a crooked posture. The filter holder is secured firmly. The S4U® coffee master is renowned for making sediment free, good-tasting coffee. It features a clean and simple design that makes it very simple to operate. The clear glass makes it possible to watch the entire coffee brewing process- probably the best entertainment you will ever see in your kitchen! The S4U coffee Master is perfect for those people who really like sediment-free coffee, but cannot stand paper filters. You can brew as little as one cup, but as you will come to realize, the 5 cup siphon is too much for one cup. Additionally, brewing the full amount yields better-tasting coffee. If you are just looking a simple, inexpensive coffee maker that makes delicious coffee, this is the piece for you. 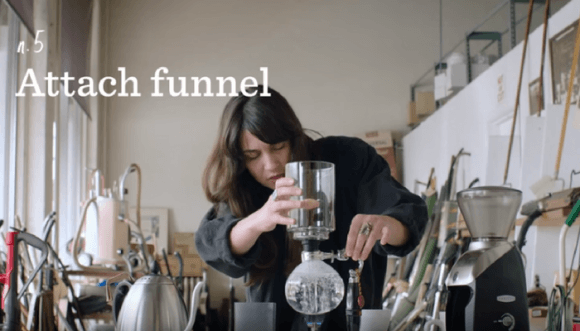 A siphon coffee maker is a simple machine that uses a full immersion system to brew coffee. It uses a continuous heat source all the while. The constant heat helps create an air-free atmosphere (vacuum) on one chamber by driving away water and air into an adjacent chamber where the water mixes with the ground coffee. The coffee-water mixture is then sieved on the way back to the vacuum chamber. 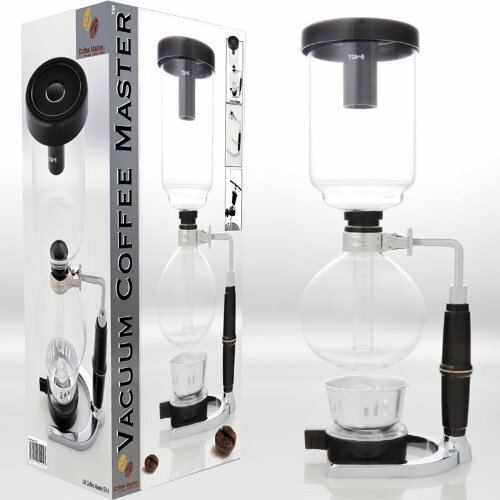 As you will come to notice, vacuum siphon coffee makers are easy to use. They are also quite fascinating to watch. This makes the whole process enjoyable. Every gadget invention story starts with the mention of a great scientist or nerd who never left his laboratory for years. However, this is not so when it comes to siphon coffee makers. The vacuum brewing technology is a contribution of many. The first commercial Siphon coffee maker developed by Marie Fanny of France was an adoption of an earlier version of the first (probably) by Leoff, a Berliner. The two were almost similar pieces, each featuring two typical glass balloons held by a frame at the center. The first version to be recognized through an award was the Napier Coffee Pot, a creation by a Scottish mariner. This type of coffee brewing machine is probably the most widely used especially in shops. 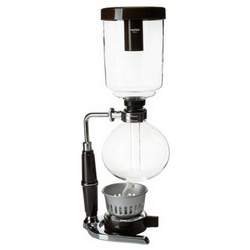 Aesthetically speaking, a siphon coffee maker is a special piece. What’s better is that the beauty matches the functionality with zero chances for failure. 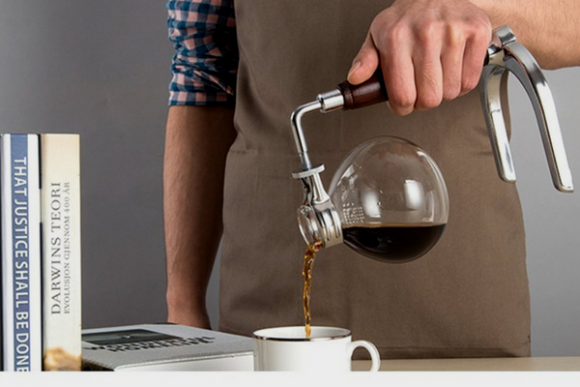 It the best piece for showing off your coffee brewing mastery in front of your guests. Let us now have a detailed look at some other factors that set them apart from other coffee brewing procedures. ​Siphon coffee makers derive their name from this feature. The vacuum acts as suction for the ground coffee after it has completely immersed in water. The pressure not only aids the mixture to go through the filter but it also enriches the coffee with a unique taste and fragrance. ​This means that the processed coffee is in immersed totally in water throughout the entire brewing process. This counts as an advantage because the solvent extracts every bit of the coffee’s nourishment to the last minute. ​The quality of heating determines the taste, flavor, and overall quality of the end product. The heat also adds to the rumble necessary for coffee brewing. Continuous, moderate heating is usually the best. With Syphon coffee makers, adding pre-heated water is not necessary. The machine’s body is heated by a constant heat source throughout the brewing process. 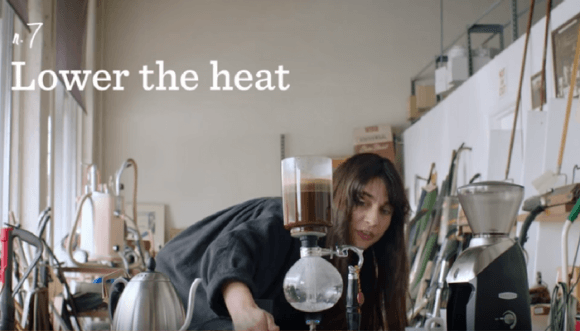 Some Siphon coffee makers even allow you to control the heat’s intensity. Siphon coffee makers have two chambers. This distinctive characteristic makes all the science possible. The lower one is filled up with water. The heat then evaporates the water forcing it into the upper chamber as water vapor where it mixes with the coffee. After removing the heat source, the lower carafe cools down. This creates a partial vacuum in the lower flask which causes a drop in pressure. This, together with gravity force, creates suction in the lower chamber which pulls the mixture into the lower flask through the filter. Siphon coffee brewers are made in such a way that the lower carafe will be void of water at some point. Leaving some water in the lower chamber, as most people advice, so as to avoid cracking would dilute your coffee. Quality glass should be capable of withstanding fluctuations in temperature and pressure without shattering. 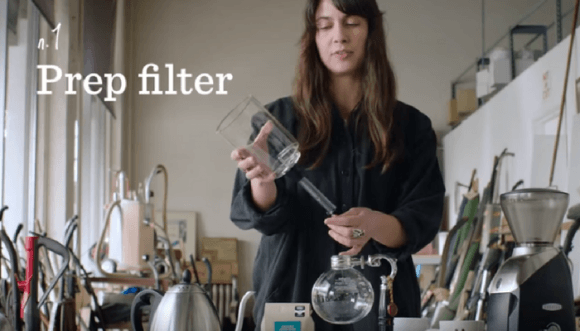 All siphon coffee makers come with a filter. Most of them come with a cloth filter. If you are dissatisfied with it, you should consider replacing it with a different filter. Usually, this type of filter will have a bulbous middle or a rough surface that traps the coffee grounds. 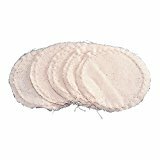 However, they are not as effective as cloth filters because they allow a substantial amount of solids to pass through. Still, some people find this useful. These provide a similar product to that of the drip brew system. Paper filters are disposed after use. Most people find this to be more efficient than always cleaning a filter after brew. These filters also let sediment to pass through. They are circular with a rubber tubing enclosing the outer edge. People love this filter so much. It is quite functional and easy to clean although it lets a substantial amount of sediment to pass through. It has two sizable disks with holes that offset to each other. A rod holds the disk in place. A chain and spring device secures it to the bottom of the siphon flask. Nylon filters let more of the coffee goodies to pass through than paper filters. However, they are fragile pieces that get torn very easily, but the best if you are a dishwasher person. There are two main options when it comes to heating. You can go with a stove-top design or a standalone design. Stove top models, as the name suggests, have to sit on a flame (electric or gas) while standalone models have inbuilt or separate alcohol or gas burners. You can tell the mode of heating the coffee maker uses by just looking at the base. Round bases indicate that the station must sit on a flame. Stovetop designs usually have flat bases. Flask Size: Larger sizes are ideal for people with families. 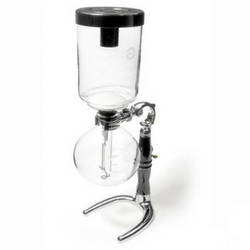 Large siphon brewers can hold up to 8 coffee cups. Standalone vs. Stove-top vs. Electric: There isn't much difference in terms of the end product. Still, some people might prefer one over the other mainly because of aesthetics - electric and standalone brewers are a little more winsome than stove-top models. Price Point: Stovetop models are usually cheaper than the standalone models. Specific Sophistication Needs: Some people are not just looking for a functional brewer; they are looking for a special, pricey piece that matches their classic homes. 1. Prep the filter - You have to assemble your filter before anything else. Cloth filters and metal filters are the most commonly used. For this process, we are going to use a metal filter. 2. Add Water - Add the desired amount of water into the lower carafe. Use pre-heated water to speed things up. Wipe off any water droplets on the flask to prevent the glass from cracking. In this case, we are using the 5-cup capacity- fill water up to the 5 cup mark. 3. Apply Heat - Bring your heat source to life. Turn the heat on high. Insert the already assembled upper part into the lower carafe and leave it to warm up. You just want it to warm up- securing it is not necessary at this level. 4. Grind Coffee Beans - Use a scale to measure the desired amount of coffee. For a 5-cup, 6 tablespoons (40g) should be enough. You should then grind the coffee beans- a medium coarse grind is usually the best. 5. Attach Funnel - Secure the upper part. Water vapor should start filling the top part immediately. It is always advisable to leave some water in the lower chamber. 6. Add ground coffee - Stir the water to get a swirl-effect and then add in the ground coffee. The swirl helps the ground coffee to get saturated. Continue stirring until everything is saturated up. 7. Lower the heat - Turn the heat source to low. Wait for 10 seconds and stir again. This time you should do it gently. 8. 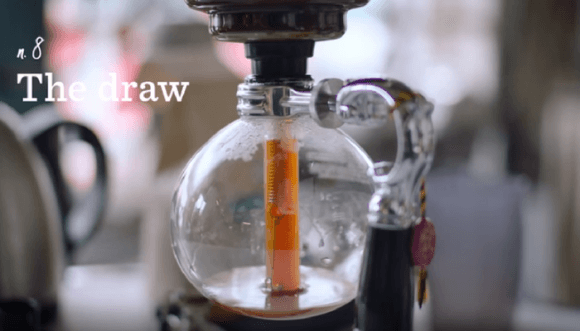 The Draw - Wait for 1.5 minutes and remove the heat source. The coffee should move down to the lower carafe through the filter. This should take about 3 minutes. 9. Serve & Enjoy - Remove the top part. Enjoy your coffee! Siphon coffee brewing is very enjoyable. It is the furthest you can go with sophistication when it comes to making a darn good cup of coffee. Most people claim it would take a staunch coffee person to make a cup using this method every day. However, this is not true. 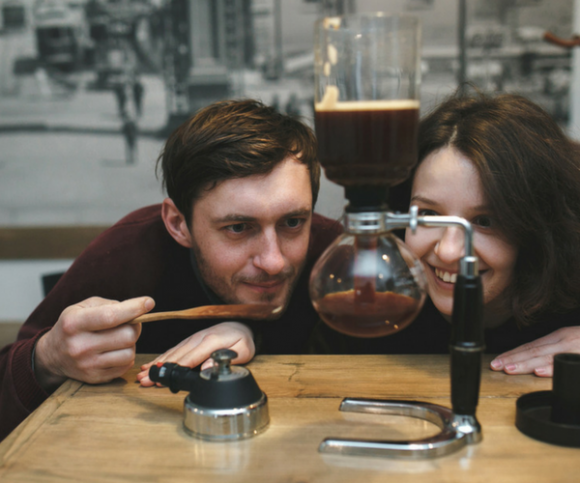 Most people are already used to every day siphon coffee brewing. The procedure(s) in this guide should not be followed to the letter. They should only be used to help you get an overview of what is expected. Choosing the amount of coffee to use (this is one huge concern for most people) and the timing intervals really depends on the individual. 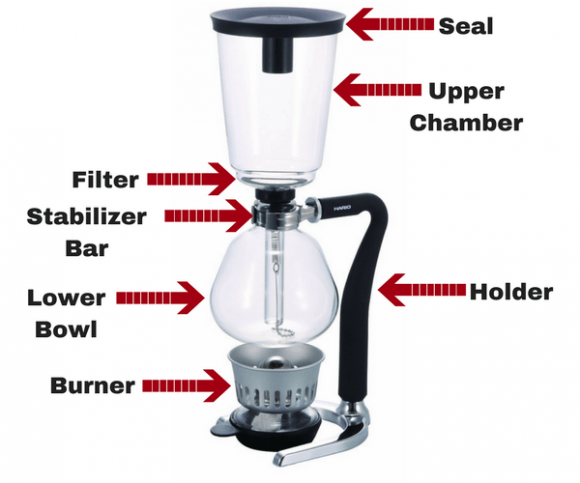 Did you enjoy reading this best siphon coffee maker guide? Please let us know your thoughts. Don't forget to share the article with your friends!